For much of its running time, Joe Wright's adaptation of Tolstoy's classic plays out in an old, crumbling theatre. From the moment that the curtains part to tell the story of Anna (Kiera Knightley) and her impetuous, tragic romance with the young Count Vronsky (Aaron Taylor-Johnson), the audience is plunged into a world in which the artifice is brought to the fore. Sets are moved around on camera, extras change from bureaucrats to sellers and merchants in a few well-choreographed movements, and Wright's roaming camera glides around the interior of the theatre, moving from one scene before alighting on a totally different one that occupies the same space. It's a bold approach to the material, one that borders on heretical considering Tolstoy's famed disdain for the theatre, and one that grew out of necessity. Unable to secure funding for a more lavish and traditional adaptation, Wright and screenwriter Tom Stoppard have stripped the story down to its essence and delivered a truly new take on well-worn material. The end result is charmingly contradictory: by embracing its restrictions, the film frees itself from the equally limiting confines of the standard period drama. Without the typical trappings of location shooting or immaculate sets, the production has to make a little go a long way. And by embracing the obvious theatricality of the situation, the resulting experience is uniquely cinematic, since some of the transitions and tricks Wright pulls could not be recreated in a real world situation. The end results, particularly in the first half hour, are thrilling, making for a great synthesis of theatre and cinema. There's a giddy excitement to seeing how exactly Wright is going to reconstruct Russia in one small space, and the witty staging - using the backstage area to stand in for side streets, making scene changes into mini-ballets - makes the place-setting of the early going a delight. It's no surprise that the few times that the film leaves the theatre, the resulting scenes feel painfully traditional in comparison. It seems that deprivation bred inspiration. That same verve runs throughout, as the sheer audacity of the adaptation carries the film beautifully as Anna meets Vronsky, is smitten, and winds up cheating on her husband (Jude Law), who finds himself unwilling or unable to denounce her for her actions, at least initially. As the intricacies of the romance play out, and as these in turn unveil the hypocrisies of nineteenth century Russian society, Anna Karenina proves itself to be a far sprightlier film than might be expected, given both the source material and Wright's past form as a director of good but incredibly stately literary adaptations (Pride & Prejudice, Atonement). It seems his diversion into action cinema with last year's propulsive chase film Hanna has recharged his batteries, since it is really remarkable seeing how different in form and style his latest film is to his earlier ones. Though the style of Anna Karenina might be different to Wright's earlier films, there are a few familiar faces to lend continuity. Elizabeth Bennet and Mr. Darcy are reunited, though this time, in either a very playful bit of casting or a happy coincidence, as brother and sister. Matthew Macfadyen, complete with Rich Uncle Moneybags moustache, gets the lion share of the laughs as Anna's ebullient, philandering brother Oblonsky, the man whose wandering eye brings Anna to Moscow in the first place to repair his marriage. As a man unashamed of his misconduct, Oblonsky comes across as a vivacious rake who delights in delineating his thinking to his friend Levin (Domhnall Gleeson). Though everyone in the film is doing some fine work, Gleeson is probably the most impressive as the lovelorn Levin, whose pursuit of Kitty (Alicia Vikander) is the most affecting momennt of the film: The scene in which the two declare their feelings for each other using a child's building blocks is quietly touching, wonderfully staged and beautifully played by both actors. It also highlights the greatest problem, which is that the film is so relentlessly clever than it winds up lacking an emotional core. This isn't as big of an issue as it could have been considering that the film is otherwise so inventive and entertaining, but there is a real and often insurmountable distance between the emotions of the characters and the audience. The artificiality of the presentation keeps the emotion at bay for the most part, and Wright never quite manages to bridge the gap between heart and artifice. 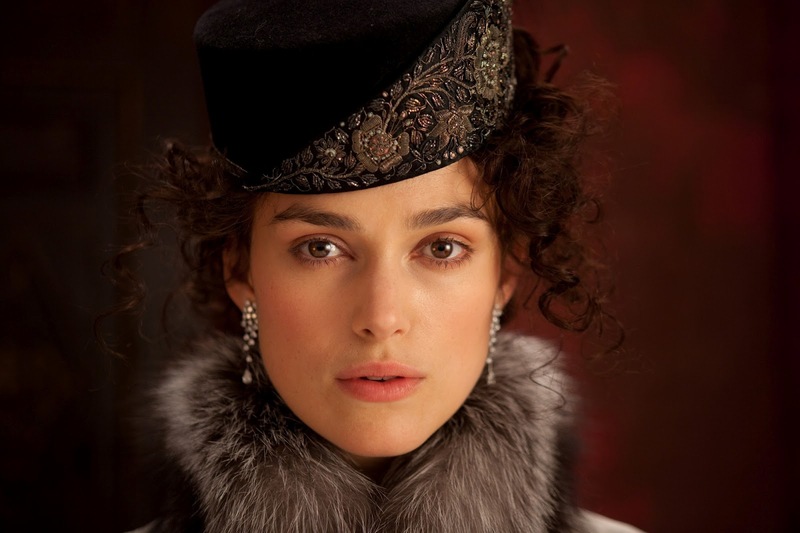 Now, that artifice is hugely fun, but the lack of involvement does prevent Anna Karenina from becoming a truly great film, as opposed to being merely a dazzling experience. Though make no mistake about it: it is a dazzling experience.